A quick look at my flickr feed reminds me of a series of trips up to the river in London recently. Now the weather is getting better, we’re finding ourselves drawn to the Thames for day trips. 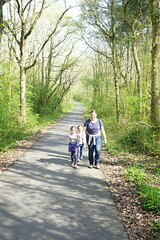 And with Sophie no longer napping, we’re enjoying some lovely long days out. On the spur of the moment one Saturday morning, we headed over to Greenwich Park for a runaround. The playground there is excellent and entertained Alex and Sophie for ages – especially the new high ropes and the extensive sandpit. 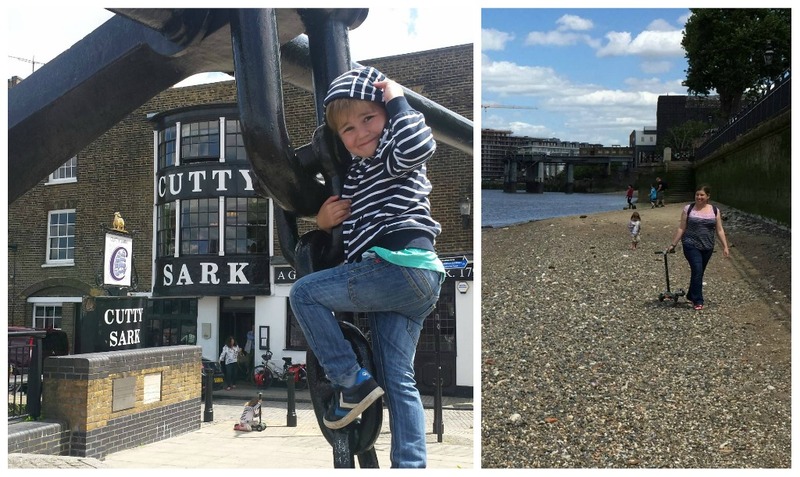 Only increasingly rumbly tummies persuaded them to leave the playground – and we headed right to the river to the lovely Cutty Sark pub which had tables right on the Thames with a delicious lunch menu. 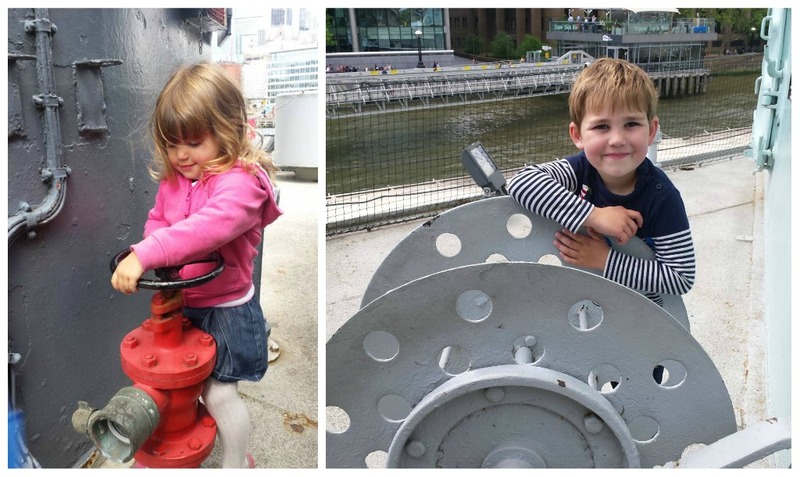 Alex loved the massive anchor outside – the perfect thing to climb while he waited for his lunch! After lunch we slowly walked back to the centre of Greenwich, walking along exposed stretches of beach like mudlarks – and nearly getting drenched by the sudden wave caused by a passing boat! Just down the river was our next destination – the O2 – and we travelled in style on the speedy Thames Clipper to get there. 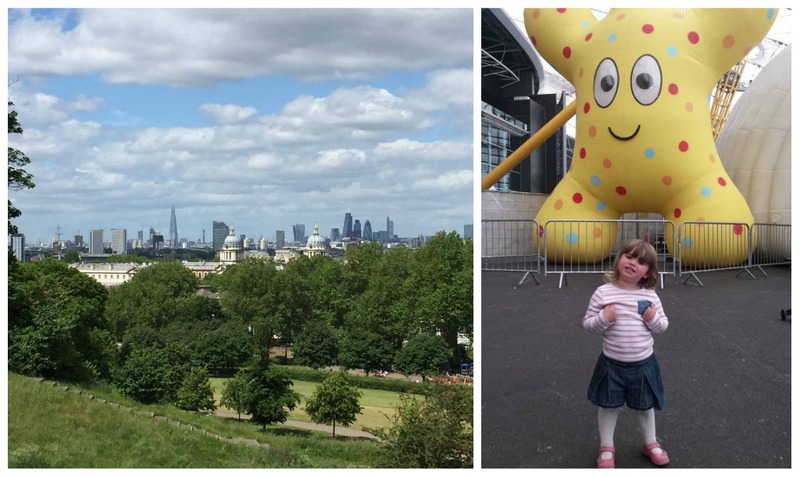 Sophie and I headed into the dome to watch “In the Night Garden Live” – a surreal, but really enchanting production of her favourite tv programme. She loved it and was totally entranced – her face lighting up every time the characters appeared. Alex and Matt opted to miss the show, trying out the gondola over the Thames. 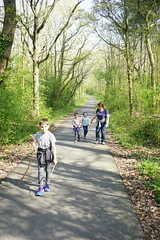 I do find it quite a bizarre, and inefficient way to cross the river – but if you’re four years old, it’s very exciting! He panicked the other passengers on board by shouting “We’re going to crash! We’re all going to die!” as it descended to the finish. Oh dear. His imagination is quite something! 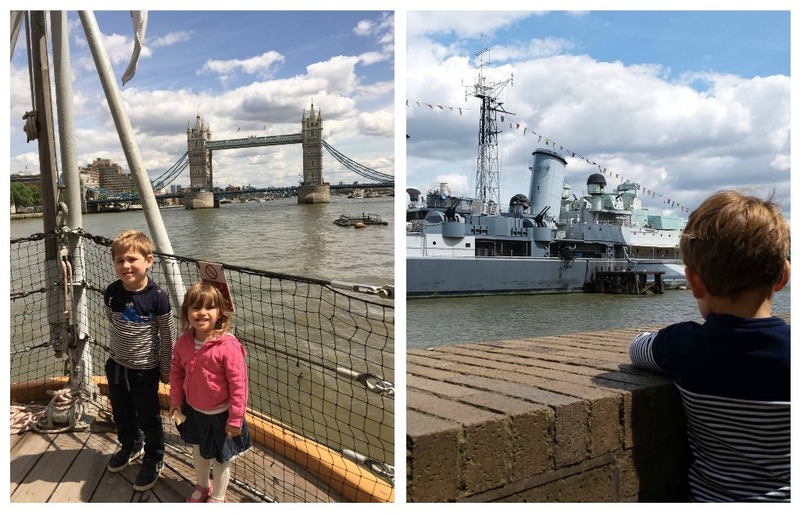 On another weekend trip to the river a couple of weeks ago, we decided to visit HMS Belfast. A real river landmark, and very nearly the site of our wedding (had Matt not been too tall to fit through most of the doors and stand up in the key room! ), we’ve been wondering if the children were ready for it for ages. And based on our experience last week, I think they just about are. And quickly got into character! 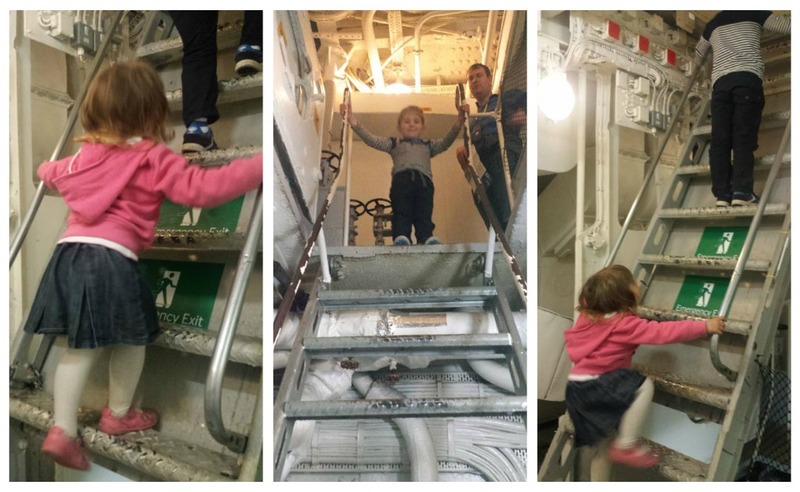 But best of all was exploring under the decks – with steep ladders galore! Perfect for climbing mad pre-schoolers (although probably quite annoying for people trying to follow us around). 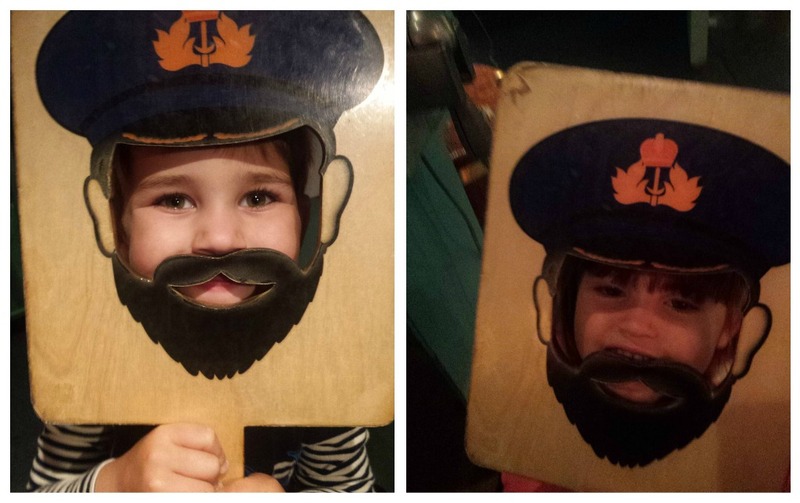 We didn’t have enough time to see all of the ship – and some parts deep in the ship were marked as not suitable for small children – but we thoroughly enjoyed the areas we did see. We’ll definitely be back with a bit more time to see everything.